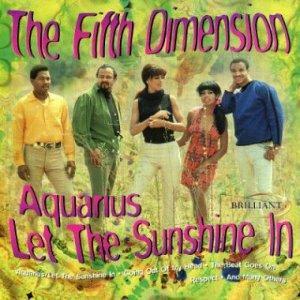 The Dawning of the Age of Aquarius!! Thank you Jude for sharing this information with us and thanks to the Fifth Dimension, the group who gifted us with the prophetic song about this event 40 years ago. I was just telling Max a couple of mornings ago that God had told me that with the Lunar Eclipse energy of the current cycle and astrological influences we are collectively being uplifted in a major way, then a couple of nights ago I personally experienced a major magical experience. Well the other morning when I read my emails I found the following one that affirmed what I knew to be true from within, being communicated from a member of the community. Below is an excerpt from that email. Astrologers are very excited about this as are we! YIPPEE! Jude Currivan PhD is a cosmologist, sensitive, healer, Hay House author, futurist and educator. Growing up as the daughter of a coalminer, she is now based near Avebury, England. From Jude Currivan; In mid February, we are offered cosmic support to this re-membering of who we really are, by a rare astrological concentration that brings together a number of planets together with the North Node – denoting higher purpose - in Aquarius. And which energizes and inspires the possibility for transcendental breakthrough and healing. The most profound spiritual traditions of ancient times perceived the manifest world, at all scales of existence as being generated and pervaded by a cosmic trinity of active, passive and neutral principles – the divine essence of the masculine, feminine and child. The Vedic sages of ancient India saw the male/active life-force energy they called the pingala and the female/passive energy they called the ida weaving around and through our chakras and the child/neutral energy they called the shushumna as channeling up through them. When these divine masculine and feminine energies are balanced and so able to fully ‘birth’ the divine child energies within us, the ancient sages saw the so-called kundalini energy that otherwise lies dormant at the base of the spine, surge through us enabling us to fully embody our divine nature. The purpose of the sacred marriage between the divine feminine and masculine that the ancient peoples, such as those of Malta, enacted in their temples was thus not only to bring cosmic harmony and fertility to their land but within themselves. For such balance enables the energetic activation or ‘birth’ of the divine child within us and the attainment of enlightenment. When this cosmic trinity of consciousness is harmonized and fully expressed within us, we are truly ‘healed’ and ‘whole’ as embodied by the universal symbol of the caduceus as a representation of healing from earliest times. For millennia, only the highest adepts understood and have attained such wholeness. But elders and mystics around the world are saying that now is the time, when we have evolved to a point where we are all able to awaken our inner divinity. This is our spiritual destiny at the dawning of the Age of Aquarius. In mid February, we are offered cosmic support to this re-membering of who we really are, by a rare astrological concentration that brings together a number of planets together with the North Node – denoting higher purpose - in Aquarius. And which energizes and inspires the possibility for transcendental breakthrough and healing. We measure our global sense of both space (longitude) and time (universal time - UT or GMT) from the prime meridian located at Greenwich, England. We can perceive the collective influence of this momentous astrological event by looking at the alignment from this globally ‘centered’ perspective. When we do, something extraordinary and exquisite emerges. At dawn on 14th February the Cosmos actually embodies this perfect alignment to support our collective manifestation of love and peace and the dawning of the Age of Aquarius. The Moon in Libra in the seventh house emphasizes harmonious real–ationships. ***See Image of Alignment view from the horizon at the very bottom of this text. At 7.25am on 14th February – and for the 18 minutes of the alignment, I invite you, in the universal heart, to add your own intention for love and peace and to co-create the dawning of the Age of Aquarius to that of the Cosmos. In whatever way feels appropriate for you, you may choose to align with7.25am (UT) or 7.25am your own local time energizing a wave of intention that will surge around the Earth. Having searched for over a thousand years, I can find no other alignments in the past of this incredible significance. But amazingly, at one moment in time nearly fifty years ago, the collective voices of our ancient ancestors seem to have been given such a cosmic voice to energetically seed this coming Age and the birth of the Aquarian human. In 1962 at the same time on the same day, as 2009, Jupiter and Mars were in Aquarius in the twelfth house and the Moon in the seventh house. But then the awesome concentration of planets that energize the 2009 alignment was missing. And instead of the North Node (higher purpose) being aligned with Jupiter and Mars as it is in 2009, it was in opposition. 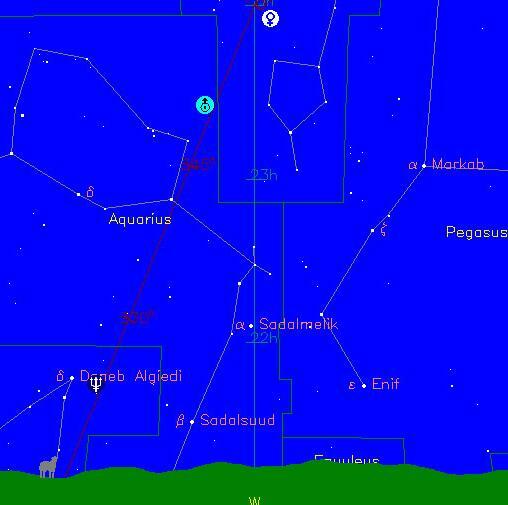 What this means is that back in 1962 it was the so-called south node rather than the north node that was aligned with Jupiter and Mars. The south node represents what we bring in from the past. So in 1962 the potential for us the birth the Age of Aquarius came through from our collective race memory - but only now are we able to fully manifest its higher purpose. In 1962 we essentially took a collective in-breath of possibility and now with the cosmic support of the Aquarian alignment of 14th February 2009 we are able to take the out-breath and make it happen. THANKS TO THOSE GORGEOUS, KEWL AND GROOVY BROTHERS AND SISTERS THE FIFTH DIMENSION, WE JUST WATCHED THEM WHEN WE CAME HOME TONITE! Just got home from a special Valentines Day (night) out with my one true love, and we went to a WONDERFUL restaurant and vineyard with marvelous wine and scrumptious dinner which was exquisite! AND I am so grateful to be with the guy of my dreams...What a guy! What Love, and What a wonderful night on this special day being Valentines Day and this Aquarius alignment. Love to all of you out there reading this and to all of you in NCN, Love and blessings to every one of YOU! 10 Nov 2006 @ 07:16: Bush Purchased nearly 100,000 acres of Land in Paraguay!